Tesla Motors just announced its fourth-quarter financial results, and it reported a net loss that was a bit wider than expected. But importantly, the company reached its production goal of 400 Model S cars a week, which it needed to hit to break even. And now, Tesla even expects to generate “slightly positive” net income in Q1 2013. This would be its first-ever profitable quarter since its IPO. Here’s a look at how the company got here. 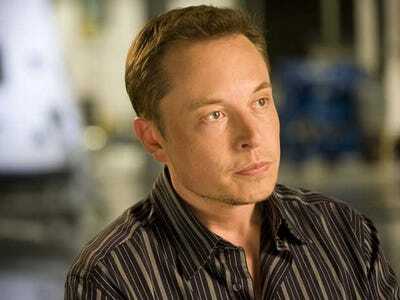 Tesla Motors was founded in 2003 by five Silicon Valley entrepreneurs. 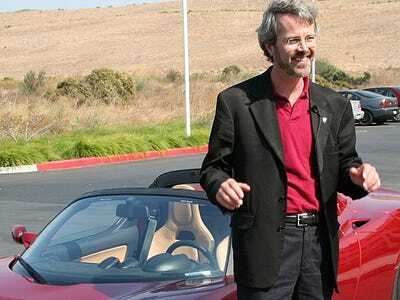 Tesla was founded by Marc Tarpenning, JB Straubel, Ian Wright, and Martin Eberhard. Elon Musk was the company's first investor. The five collaborated after they tried to commercialize the T-Zero prototype electric sports car created by AC Propulsion. When he was in college Elon Musk had said there were two important problems worth studying, one was how to make transportation environment friendly and the other was how to colonize another planet. The company name after electrical engineer Nikola Tesla and aimed to 'accelerate the world's transition to electric mobility with a full range of increasingly affordable electric cars'. 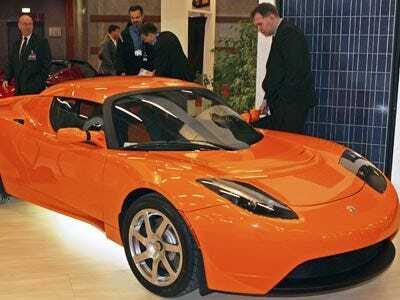 The Tesla Roadster prototype was introduced to the public in 2006 and general production began in 2008. Tesla raised $60 million and spent about $25 million developing its two-seat Roadster vehicle that sells for $109,000. 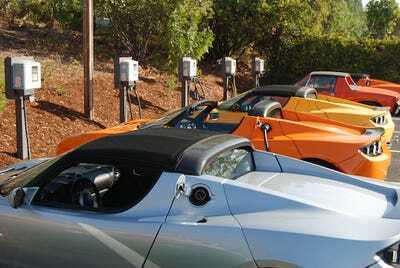 The Roadster goes from zero to 60 miles in four seconds and can go 250 miles on a single charge. The Roadster came 10 years after General Motors introduced its two-seat electric car the EV-1, which GM eventually withdrew because it had a 100 mile limit on one charge. Tesla has maintained that it plans to get to the mass market by selling it to rich people first and kicking off production. 'According to Mr. Eberhard, the way to get a new product into the mass market is to sell it to rich people. ''mobile phones, refrigerators, colour TV's, they didn't start off by making a low-end product for masses,' he said. 'They were relatively expensive, for people who could afford it. 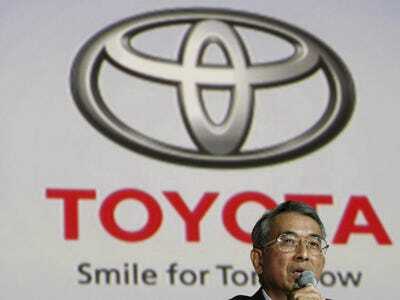 Its revenue from automotive sales went up from $73,000 in 2007, to $148.5 million in 2011. The company nearly collapsed in 2008 during the financial crisis. During the financial crisis, as it struggled to make money, Tesla said it would cut about 24 per cent of its staff. The company 'almost collapsed' according to Bloomberg under delays and cost overruns. It began to struggle to raise the $100 million to fund its Model S. At the time Elon Musk put his last $35 million into the company. Tesla was able to secure $465 million in low-interest loans from the government in 2009. During the financial crisis the federal government approved a $25 billion auto loan program, that was administered by the Department of Energy. 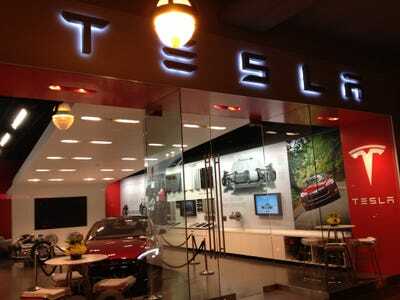 Tesla Motors received $465 million in low-interest federal loans. $365 million of that money was put towards building the Model S car and the remaining $100 million was used for a powertrain manufacturing plant. Tesla's loan from the DOE was however contingent on him holding at least 65 per cent of the company. If he were to lower or sell his stake the loan would technically be in default. That same year, Martin Eberhard filed a lawsuit against Elon Musk and Tesla Motors. It was later resolved. In a 2009 lawsuit, Martin Eberhard said he was pushed out by Elon Musk who was brought in as an investor and sued the company. Contrary to what Musk had said about Eberhard in interviews, the latter said it was Musk causing delays. Musk followed that up with a long retaliation on Tesla's website calling Eberhard a liar. Then, out of nowhere the two settled their legal woes in September 2009. Details of the settlement were not disclosed. Tesla had to recall cars once in 2009 and once in 2010 for safety concerns. In 2009, Tesla had to recall 345 of its Roadsters made between March 2008 and April 22, 2009 over concerns that the rear hub was 'under-torqued' and could come loose. This could cause the driver to lose control of the car and cause it to crash. At the time it was reported that this was a problem with the Lotus assembly line and that Tesla would send technicians to the homes of owners to fix the problem. In 2010, it recalled 439 Roadsters involving the 12V low-voltage auxiliary cable. Tesla went public on June 29, 2010. 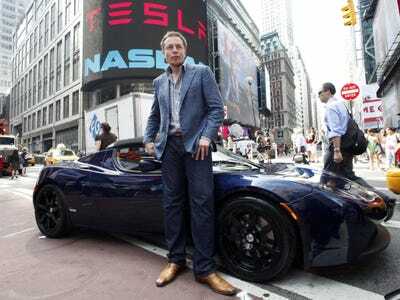 Tesla filed for a $100 million IPO in early 2010 and became the first car company to go public since 1956. The company had priced its IPO at $17 per share but opened at $19 per share, and closed at $23.89 per share. Tesla also designs, manufactures and sells electric vehicle parts for other companies. In 2009, Tesla Motors entered into an agreement with automobile manufacturer Daimler for research and development into a batter pack and charger for Daimler's Smart for two electric drive. This was followed by another agreement in 2010, for a battery pack and charger 'for a pilot fleet of its A-Class electric vehicles to be introduced in Europe during 2011'. In 2010, they announced an agreement with Toyota, to draw on its expertise to develop the Model S and develop an electric powertrain for the Toyota. In 2012, the received an initial purchase order for the full development of an electric powertrain system for an additional Mercedes vehicle from Daimler. 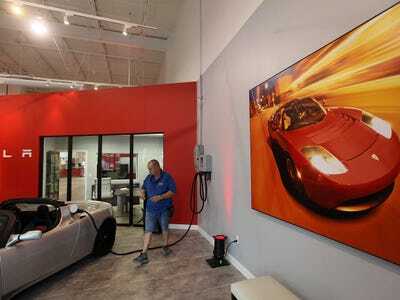 Tesla retired the Roadster in 2012 as it shifted focus to its Model S.
'We concluded the production run of the Tesla Roadster in January 2012. 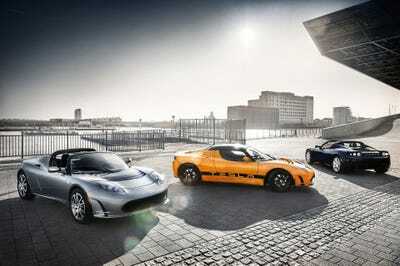 We are selling our remaining Tesla Roadsters primarily in Europe and Asia during 2012 until our inventory is depleted. 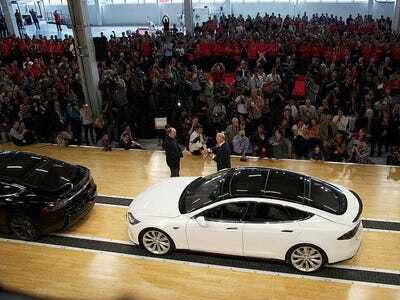 Tesla's Model S which was first revealed in 2009 went into production in June 2012. Tesla expects to produce 20,000 Model S cars a year at its factory in Fremont. 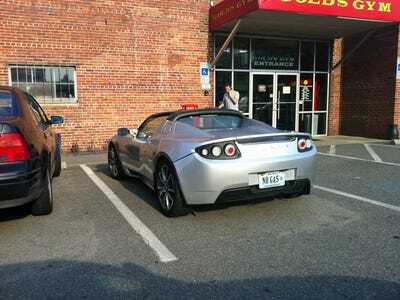 As of December 31 2011, Tesla had delivered approximately 2,150 Roadsters to customers. The company wrapped up production of the Tesla Roadster gliders in January 2012 and are now just clearing through the inventory. According to its 10-K, Tesla expects to produce 20,000 of its Model S cars a year at its Tesla Factory in Fremont, California. In time, they expect to increase production capacity as they increase capital spending, add shifts etc. The Model S sedan is priced at $60,000. The Model S was rolled out in June 2012, and the company's 10-K said Tesla planned to deliver 5,000 Model S sedans in 2012. 'Model S acceleration from zero to 60 miles per hour is targeted at 6.5 seconds, 5.9 seconds and 5.6 seconds for the 40 kWh, 60 kWh and 85 kWh battery pack options, respectively. 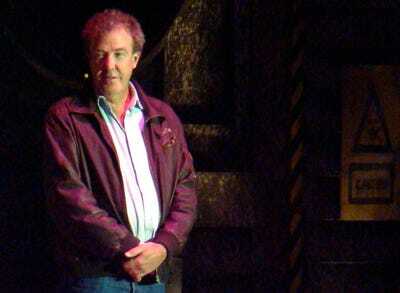 In February 2012, Tesla sued the BBC for a 2008 review on its show Top Gear and lost. Tesla argued that a 2008 Top Gear review of the Roadster's range being only 55 miles was defamatory, since Tesla had claimed that its range is about 200 miles. Elon Musk, who has frequently publicly lambasted reporters, has gotten into a spat with John Broder of The New York Times. In a New York Times piece, John Broder wrote that Tesla's battery life wasn't as good as claimed and that it didn't last the length of a trip from D.C. to New York. 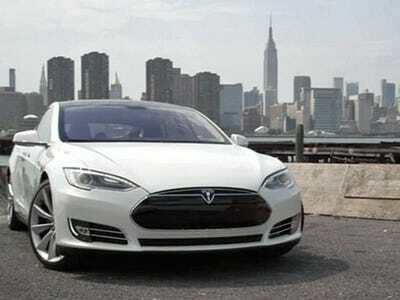 The New York Times responded saying, 'The Times's February 10 article recounting a reporter's test drive in a Tesla Model S was completely factual, describing the trip in detail exactly as it occurred. Any suggestion that the account was 'fake' is, of course, flatly untrue. Looking forward, the company expects to use the Model S as a platform to build future electric vehicle models. 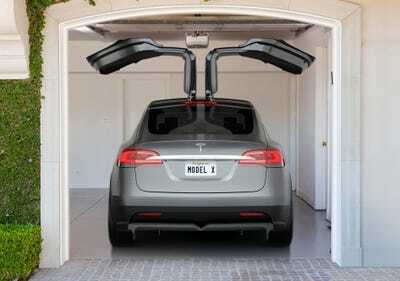 It plans to begin building Model X in Q4 2013. Tesla employs over a 1,000 full-time employees and none are represented by labour unions. 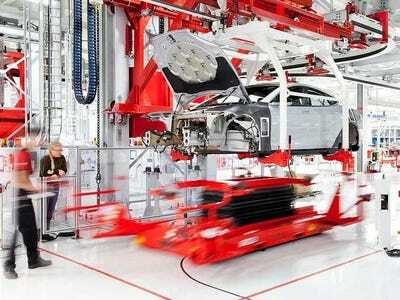 Of these employees 1,088 are located in the Northern California offices, including the Tesla Factory. 81 are in Los Angeles and 48 are in the UK. Three of Tesla's employees died in an aeroplane crash in 2010, in a plane that was owned and piloted by a Tesla employee. The company could be subject to claims arising from the plane crash. Tesla has $414. 4 million in long-term debt. 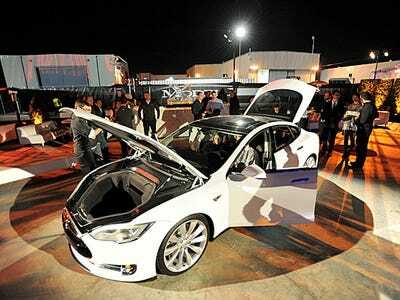 Barclays has picked Tesla as one of its top global picks in 2013. 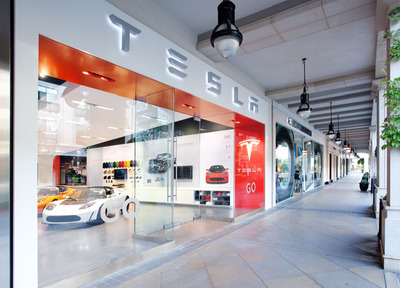 While Tesla has a short interest of 52.5 per cent as of January 15, 2013, Barclays analysts Amir Rozwadowski and Brian Johnson named Tesla one of their top global picks for 2013. They think Tesla's most 'compelling competitive advantage' is its technological knowhow and that this should be the year that Tesla 'transforms from an innovative upstart to a sustainable and profitable operating entity'. In looking toward 2013, steady execution of the company's production ramp should drive improved operating metrics (margins, cash flow generation) while its investments into a broader distribution network (both in the U.S. and abroad) should begin to bear fruit driving broader awareness of the Model S' compelling and differentiated value proposition. This, coupled with tangential benefits associated with vehicle ownership (i.e., free use of the company's nationwide supercharger network) should lead to improved market penetration. 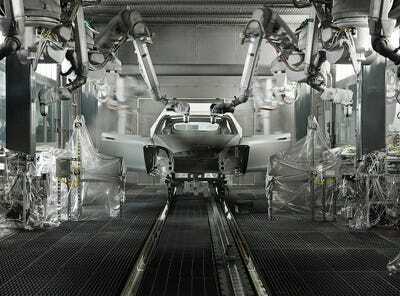 Tesla hit the 400 Model S cars per week production rate which it needed to break even. Tesla achieved its 20,000 annualized production rate and reached its year-end target of 400 vehicles per week. Fourth quarter revenue came in at $306 million, a 500 per cent increase over the third quarter, and the company reported a net loss (non-GAAP) of $0.65 per share. The company has posted a loss every quarter since its IPO in 2010. 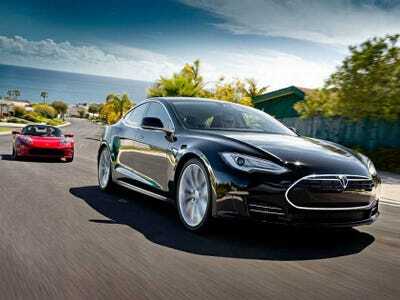 Tesla plans to deliver 20,000 Model S units and expects to generate 'slightly positive' net income in Q1 2013.